1,309 incidents of anti-Jewish hate recorded in Britain in 2016, a record high. The number of anti-Semitic incidents in Britain rose by more than a third to record levels in 2016, according to data released on Wednesday by the Community Security Trust (CST), which monitors incidents of anti-Semitism and provides security to Jewish communities. The group recorded 1,309 incidents of anti-Jewish hate last year, compared with 960 in 2015, a rise of 36%, according to a report in the Guardian. The previous record number of incidents was in 2014, when 1,182 were recorded. The 2014 spike in incidents was attributed to the war in Gaza that summer, which was deemed to be a “trigger event” and which saw a rise in anti-Semitic incidents throughout Europe. However, no such trigger was identified for 2016. Instead, the CST said, there may have been a “cumulative effect of a series of events and factors that, taken together, have created an atmosphere in which more anti-Semitic incidents are occurring”. The factors, according to the Guardian, included terrorist attacks in Europe, high profile allegations of anti-Semitism in the Labour party and a perceived increase in racism and xenophobia following the Brexit referendum, as well as the 2014 Gaza war. Last summer, CST summarized the first six months of 2016 and noted that the debate in British media about anti-Semitism within the Labour party coincided with an 11-percent increase in anti-Semitic incidents in the first six months of 2016. There were 557 anti-Semitic incidents in that period, compared to 500 in the first half of 2015. The Labour party over the past year has been forced to suspend dozens of members over anti-Semitic and anti-Israel comments. Labour leader Jeremy Corbyn himself has come under fire for calling Hamas and Hezbollah his "friends" – comments from which he later backed down after an outcry. The 1,309 anti-Semitic incidents recorded in 2016 included 107 violent assaults, up 29% over the previous year; 65 incidents of damage and desecration of Jewish property; and 1,006 incidents of abusive behavior, including verbal abuse, graffiti, and social media attacks. Social media has become “an essential tool for coordinated campaigns of anti-Semitic harassment, abuse and threats directed at Jewish politicians, student activists and other individuals, perpetrated by transnational networks of online anti-Semitic activists, some of whom are involved in extremist politics,” the CST said, according to the Guardian. 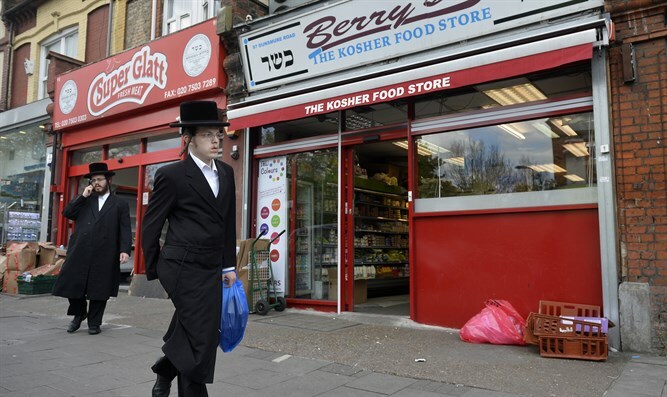 Over three-quarters of the incidents were recorded in Greater London and Greater Manchester, where the majority of British Jews live. Greater London saw a 65% increase incidents over the previous year. In December, British Interior Minister Amber Rudd promised funds totaling $17 million towards the protection of Jewish synagogues, schools, kindergartens, and museums. In response to the numbers published on Wednesday, Rudd said the government would continue “to do all we can to stamp out these vile attacks and encourage those who experience them to come forward”. Anti-Semitism was “a deplorable form of hatred that has absolutely no place in a tolerant, open, and diverse Britain that works for everyone,” she added.